Course meeting dates are October 18-19 and 25-26, November 8-9 and 22-23, and December 6-7 and 13-14. 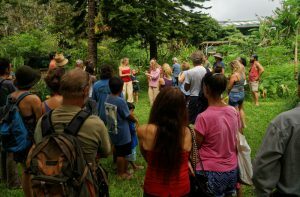 Includes complete permaculture core curriculum. Experience learning at a land-based intentional community. Acquire skills to achieve food security and create sustainable home systems. Design for your property or community during the course, with professional support. Learn underlying whole systems ecological design processes and techniques, tools and methodologies. Course tuition is $897 – due by October 1st, 2014. $100 early bird registration discount – only $797! – with full deposit paid by September 1st, 2014. $50 per person discount for two or more registering and paying full deposit together. $300 deposit to hold your space in the course. Payment, cancellation and refund policy is available on the course registration form.